Kids in Museums works tirelessly to support and guide museums to make their work more accessible to children, young people and families. As well as providing training and advice, Kids in Museums run the nationwide ‘Takeover Day’ initiative – an annual event that sees children and young people take over the running of museums across the country. In 2017 Kids in Museums received funding from HLF to embark on a year-long project to increase the capacity and resilience of the organisation. The timing of this project coincided with Kids in Museums becoming an Arts Council England National Portfolio Organisation for the first time. 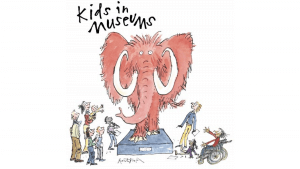 In addition to looking at how best to structure the organisation to achieve their long-term aspirations, Kids in Museums also needed to look at how best to fund its work, diversifying its income and reducing its reliance on public funding. Apollo Fundraising was commissioned to develop a three-year fundraising strategy to identify what steps Kids in Museums would need to take to increase its income from private sources. Apollo Fundraising worked with the team at Kids in Museums to develop a fundraising strategy that could be realistically delivered by the organisation. We started by interviewing board members, staff and volunteers from across the organisation. This helped to provide us with the insight we needed to develop an emotive Case for Support that could be used to underpin their fundraising approaches. These steps enabled us to develop a comprehensive Action Plan of short, medium and long-term actions needed to achieve their fundraising targets. Since the completion of the Fundraising Strategy, Kids in Museums are in the process of recruiting a new member of staff to focus on fundraising and ensure it is prioritised. Apollo Fundraising will be providing training to the team once this member of staff is in post. I think the strategy is really great – it’s very practical and well thought out. And in contrast to other fundraising strategies I’ve seen consultants develop for me I can actually see us using it to develop our fundraising… I’ve really appreciated the pragmatic approach you’ve taken to the work you’ve done and look forward to having time to put more of the recommendations in practice.